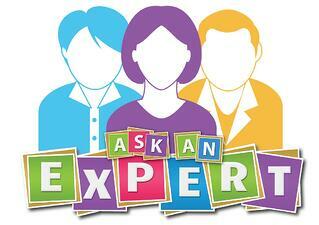 Do you have questions only a healthcare consulting expert can answer? LW Consulting, Inc. gives healthcare professionals the opportunity to ask questions that are answered by specialized industry experts. This week we answer the question, "Is it really necessary to complete a medical records audit before a healthcare transaction?" Q. Is it really necessary to complete an audit before a healthcare transaction? It is important that buyers complete a medical records audit before any type of healthcare transaction or acquisition. Buyers should perform due diligence in various different areas, including medical record documentation, coding and billing practices. In healthcare, it is particularly important to complete such audits so that potential risks are uncovered before the close of a sale and prevent the buyer from inheriting unintended risks and liabilities. Performing a medical records audit benefits both parties involved in the transaction. There is often a misconception that the acquisition of a smaller provider carries smaller risks, which some buyers view to mean that a medical records audit isn’t necessary for these types of providers. This viewpoint is simply incorrect. Transactions involving smaller providers frequently have a higher degree of risk because smaller companies have spent less time and resources on improving their medical record documentation and billing operations. If risks associated with medical record documentation, coding and billing are inherited through a transaction, a buyer could experience problems with Medicare/Medicaid, state and federal issues, major financial penalties, offsets and recoupment. To avoid financial loss and penalties, buyers should perform medical records audits as part of their due diligence for acquisitions of all sizes. In these cases, the parties will often modify the terms and conditions of the transaction documents, including reducing the purchase price, rather than just terminating the transaction entirely. Conferring with consulting experts in this area can help a buyer weigh the pros and cons of proceeding with a transaction where the medical records audit uncovered some previously unknown issues and risks. Remember, revenue integrity is the foundation of completing any transactional deal. As the transaction is explored, evaluated and confirmed via audit, the buyer has greater assurance knowing that they are buying is indeed what they think they are buying. Leave your questions in the comments about this or any other topic you would like answered by our experts. For information on medical record auditing or acquisition support, contact Rob Senska, Director at 609-249-3819 or email RSenska@lw-consult.com.